Summer is approaching which means it’s time to eat light dishes! 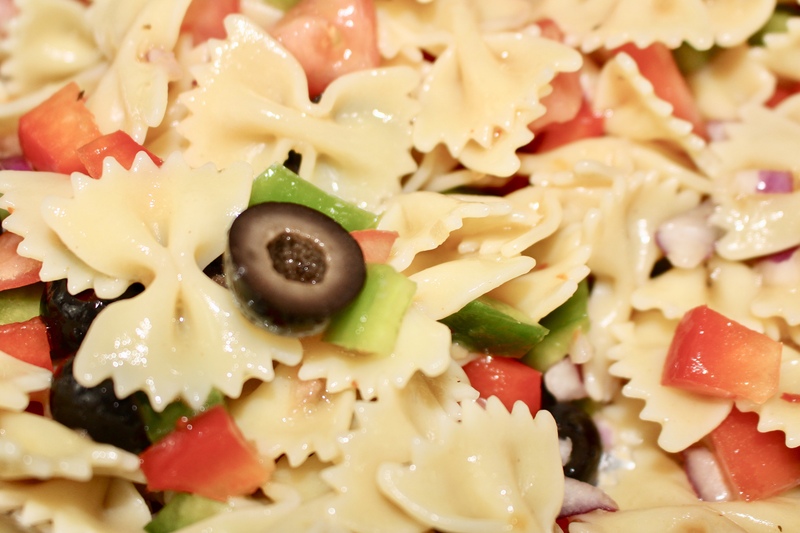 Pasta Salad is one of my favorite meals to have during the hot summer months. It’s light and super easy to make! I hope you all enjoy this post! Of course you can add in your own ingredients and take some things out! This is just the recipe I’ve used from my family. 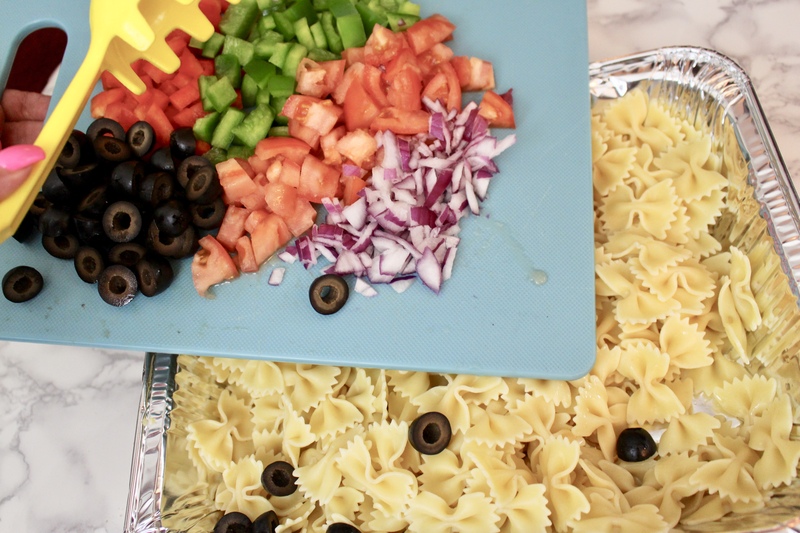 Scroll down to see how my Pasta Salad is made! Fill a pot with water, a pinch of salt and 2-3 drops of olive oil and bring to a boil. Once boiled, add in your pasta and cook as you normally would. 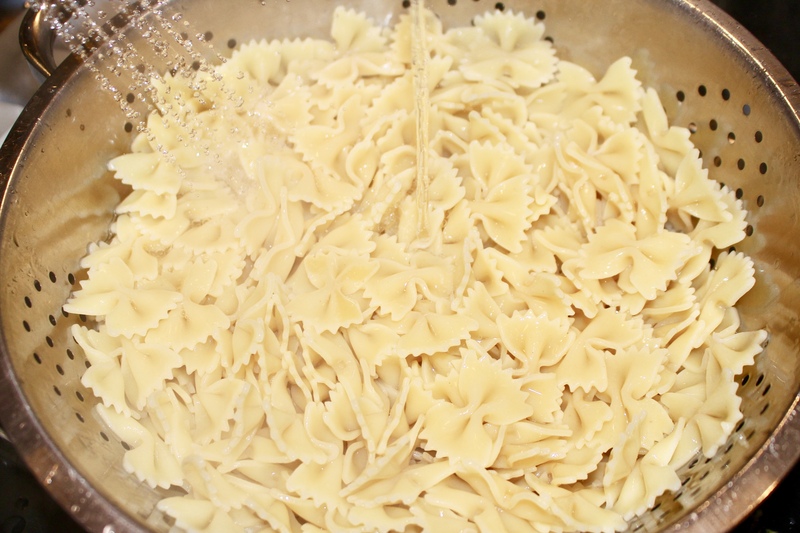 Once fully cooked, strain the water from the pasta. Then leaving the pasta in the strainer, wash the pasta with cold water to cool it off. 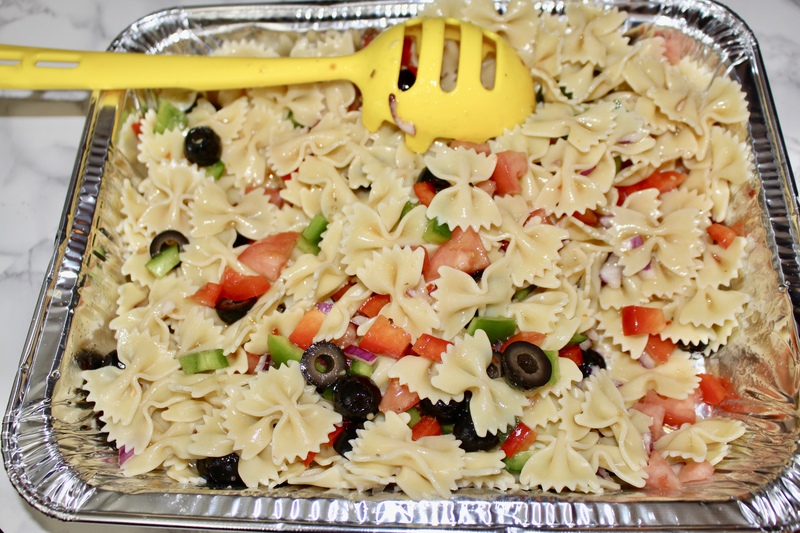 (For pasta salad you want the pasta to be cold, also it won’t stick together if it is cold). Taking your pan (I used a disposable one), add some Italian dressing to the bottom and then pour the pasta into the pan. Take your peppers and knife and cut the top-inside of the pepper out. Then wash the inside and cut the peppers in half. 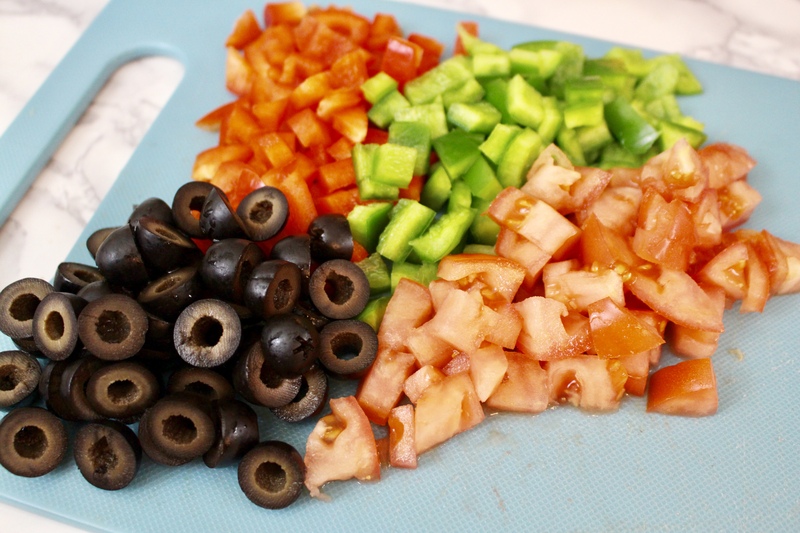 Once peppers are in half begin cutting strips. When you have all the strips you can start cutting them into smaller pieces. Open a can of black olives. 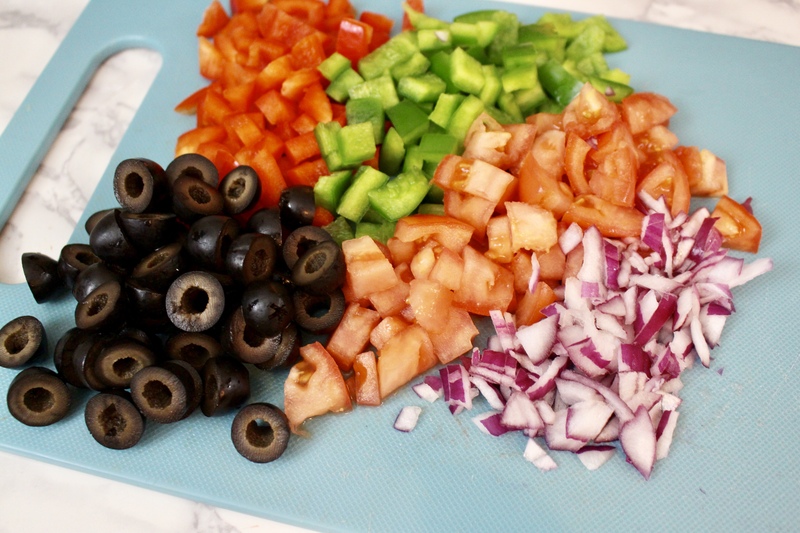 Cut the olives in half until whole can is used. Rinse your tomato to prep for cutting. Once sliced you can begin cutting smaller pieces. Slice a chunk off the side of the onion and begin cutting the slice into separate thin slices. Then cut those thin slices into tiny pieces. 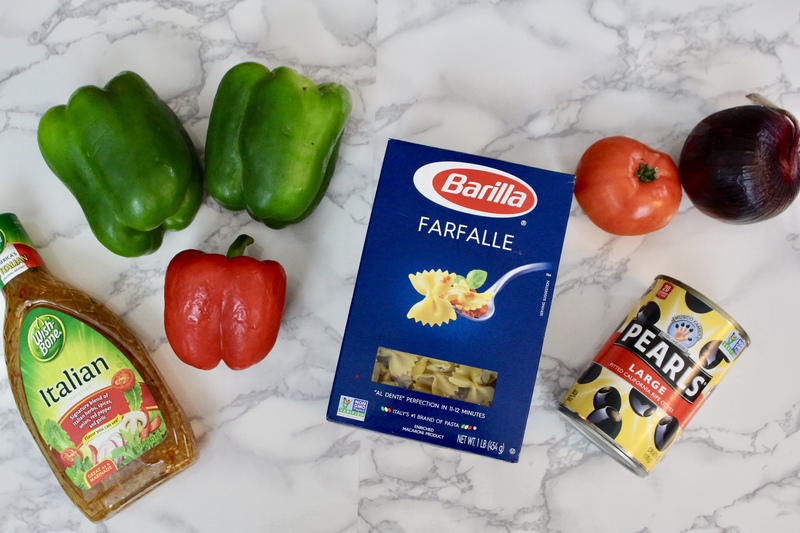 Once you have all the ingredients cut, add them into the pan with the pasta. Mix it all around and add in more Italian dressing. Continue to mix until perfectly spread. 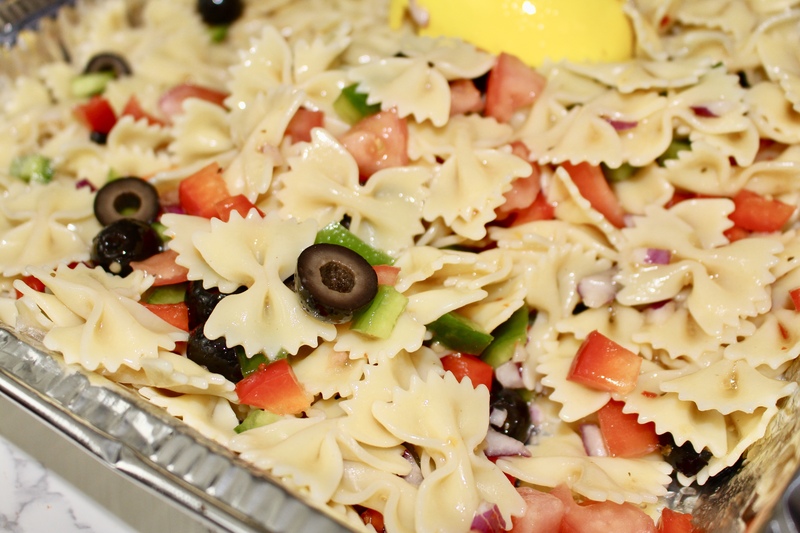 Keep pasta salad in refrigerator (stays best for only up to 3 days). I hope you all enjoyed this recipe! Your mouths must be watering! haha go recreate this and let me know how it comes out! Yes I love garlic! Thank you! Oh man!!! This looks absolutely delicious. Thanks for sharing! I love all the pictures you took 😍 so colorful! I think I’ll have to make this myself!